FMD (Falsified Medicines Directive) is an EU wide initiative which tries to eliminate counterfeit medicines entering the Pharmaceutical supply chain. As of February 2019, drugs wholesalers, distributors and dispensaries must verify packs of medicine against the National Medicines Verification system (NMVS) at numerous points in the supply chain using the SecurMed system. 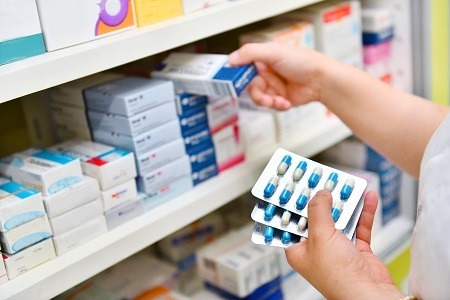 This imminent new regulation requires all companies operating within the Pharmaceutical industry to monitor and maintain tight control over any medicines entering the supply chain, ensuring they are not tampered with, damaged or stolen. To be compliant with FMD, companies will need to have a verification scan on FMD controlled products bought directly into the business. As well as this, stock leaving the supply chain will also require decommissioning from the NMVS database. If FMD guidelines are not met, Pharmaceutical companies will face serious sanctions as a result. Therefore, it is essential for Pharmaceutical companies to ensure they comply with FMD when it becomes law in February, so they can eliminate unregulated medicines being traded and avoid any consequential sanctions. 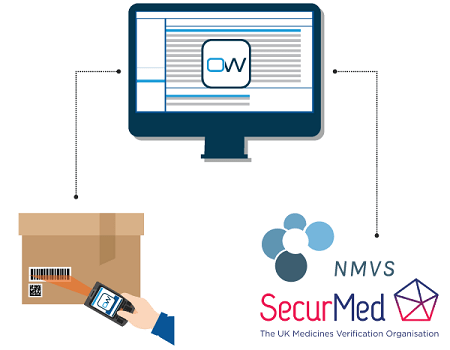 Here at OrderWise, we have been supplying solutions to the Pharmaceutical industry for many years, powered by our accurate end-to-end serial/batch number traceability, effective management of expiry dated products and GS1 Accredited Mobile WMS Devices. In the last 12 months, we have also become a registered supplier with the SecurMed NMVS portal in preparation for FMD. Now extending this software support for the Pharmaceutical industry, this month we have introduced a brand-new FMD module, enabling us to deliver both all-in-one ERP or Mobile WMS solutions with FMD capabilities. This new module has been built around software for both the main OrderWise application and our Mobile WMS Devices, with the aim to assist users operating within the Pharmaceutical Wholesale and Distribution space with their FMD compliance, from the point of goods receipt right the way through to final shipment. Like with any new OrderWise module there will be further developments added in the coming months. Included at launch this month in the January 19.1 release of OrderWise, this new FMD module covers three distinct areas of compliant supply chain management – Purchasing/Goods Receipt, Picking and Stock Adjustments. Once the FMD Module has been licensed and the link to the SecurMed NMVS Portal has been configured, users will firstly need to identify in OrderWise which goods fall within the scope of FMD. Once identified, each company will then need to determine an acceptable percentage of each item to verify upon receipt. This verification rate will need to be set for each supplier from which the product is purchased, however once set up, this verify percentage figure will then be automatically pulled through and applied to the relevant purchase orders for those suppliers. Once the purchase order arrives, each item can be received via the Goods In module on an OrderWise Mobile WMS Device or in-system as normal, with batch, serial & expiry details automatically recorded when scanned or manually entered in OrderWise. Then, once the required check percentage amount has been booked in, a bulk verification check will be automatically initiated, the results of which will then be stored against the Goods In transaction and visible within the new FMD Verification and Action History grids of OrderWise. Businesses also have the flexibility of a Verify Selected option, which can be used to check products on an ad-hoc basis before the bulk verification stage has commenced, allowing further FMD verification to be easily completed at the company’s discretion. On the fulfilment side, OrderWise FMD users will also need to set a Despatch action (or Decommission action) against the necessary customer records. This enables the correct action to be automatically applied to each Sales Order containing FMD controlled products, with a new details tab giving the flexibility for this FMD Despatch action to be viewed or edited when the order is raised too. Then during the shipping process, traceability details will be recorded as normal and the FMD Despatch/Decommission action will be created during the pick confirm stage. If the product successfully passes verification, then the decommissioning action will be performed. Once the decommissioning stage is complete, then the stock can then be despatched in OrderWise. If for any reason users must return a pack back to the picking stage with FMD products on it, then a new pick will be created and the original FMD actions will be updated to reference this newly created pick. This allows any corrections to shipments to be made with ease, ensuring fast, accurate and compliant FMD order fulfilment at all times. In addition, there may come a time where a business must reverse a delivery which contained decommissioned FMD stock. 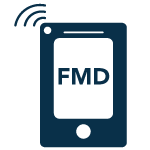 To handle this, OrderWise FMD also provides the ability for users to reverse FMD actions using the designated button within approved timescales. Once pressed, the stock will be booked back in and the FMD Action History grid updated to show the reversal, allowing any state-altering of FMD products to be managed seamlessly in OrderWise with an accurate audit trail also recorded. This list relates to the different pack states which can be set against an individual pack of medicine on the NMVS database. So, when the adjust stock out form is saved within OrderWise, any adjustments for FMD controlled products will be automatically reflected within the NMVS. With OrderWise FMD, pharmaceutical wholesalers and distributors subject to these new EU regulations can handle their compliance in both a streamlined and tightly controlled manner. 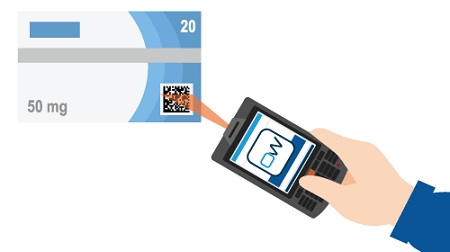 Through accurate recording of traceability details and seamless handling of goods receipt, order picking and stock adjustments for FMD controlled products, companies using OrderWise FMD can have complete peace of mind, allowing them to focus on fulfilling more orders, attaining more customers and further growing their business. If you wish to know more about how OrderWise can aid your FMD compliance, please contact us on 01522 704083.